With the completion of the College of Humanities and Social Sciences Building, formerly known as Academic Building V, a number of offices and departments will be moving within the next month. The Student Advising and Mentoring Center will relocate to the CHSS Building this week (Jan. 13-14) from the second floor of Academic Building IV, a space that will later be filled by Career Services; while the political science department will relocate from Academic Building I on Jan. 15-16. Other upcoming moves include Accounts Payable and the Business offices, from the Administration Building Jan. 20-22; Purchasing, from the Estill Building Jan. 23; Human Resources, from the Estill Building on Feb. 4; and Payroll, from the Estill Building Feb. 12-13. The CHSS Building also houses the College of Humanities and Social Sciences dean’s suite and the sociology, psychology and philosophy departments. The vacated offices will make room for other future moves, including Computer Services and the computer sciences department expanding within Academic Building I; foreign languages moving to the third floor of AB IV and the history department taking over fourth floor offices in AB IV; Administrative Accounting and University Advancement expanding within the Administration Building; and the Vice President for Enrollment Management’s office moving to the Estill Building. Additionally, the clinical psychology program will move into the Career Services building in February. The SHSU Army ROTC Bearkat Battalion will show potential cadets what it means to be “Army Strong,” while informing students of the benefits of being a part of the program, during an open house on Wednesday (Jan. 14). The event will be held from 12:30-4:30 p.m. between Academic Buildings III and IV. The open house will include free pizza, a mechanical bull, a paintball demonstration and a rock-climbing wall. Students interested in potentially joining the battalion can speak with cadets, tour the facilities and learn about scholarship opportunities within the ROTC, which can include as much as paid tuition and fees, a book stipend and a tax-free monthly stipend for contracted cadets, according to 2nd Lt. Travis Cline, a ROTC gold bar recruiter and Bearkat Batallion alumnus. While contracted cadets commit to four years of U.S. Army service after being commissioned, students can participate for their first two years without a commitment. “ROTC is great because you learn to solve problems and lead people under highly stressful situations,” Cline said. “The adventure factor is there as well. What other class do you get to rappel off a building or go paintballing or lead an ambush up through a creek? “Some people take the course just to learn how to become a better leader, and others take it to start their career in the military as a commissioned officer,” he said. After army service, these leadership and resource management skills can also translate into being more marketable in the civilian job sector, according to Cline. For more information, call the Military Science department at 936.294.1351. The College of Education's new ambassadors include (front row, from left) Heather Olguin; Angelica Adame; Cassidy Turrentine; and (back row, from left) Susan Scheiner, ambassador coordinator; James Williams; Abigail Beard; Genevieve Brown, COE dean; Merrill McWilliams; Elizabeth Underwood; Dana Krebs; and Richard Henriksen Jr., ambassador director. Eight College of Education students have been selected to represent its five departments for its first ambassador program. Angelica Adame, Abigail Beard, Dana Krebs, Merrill McWilliams, Heather Olguin, Cassidy Turrentine, Elizabeth Underwood and James Williams were all selected in the fall to serve the college. Advised by Richard Henriksen Jr., College of Education ambassadors travel to high schools and junior colleges to recruit for the COE, represent the dean at special events and are involved with the campus and community. College of Education ambassadors must be a major or minor within any of the college departments, have a minimum grade point average of 3.0 and be classified a sophomore or higher. Students must also display excellent communication skills, positive and energetic attitude, professional image and willingness to work. Education students interested in becoming a COE ambassador can obtain an application in Counselor Education Center Room 141. For more information, contact Scheiner at 936.294.4821 or by e-mail at coeambassador@shsu.edu. SHSU's debate team of (from left) Addison Reed, Clayton Goss, and Adam Key (also the coach) recently won the Mississippi Deep South Debate Tournament, as well as a number of individual awards. Sam Houston State University’s recently reinstituted debate team argued their way to a victory in the Mississippi College Deep South Debate Tournament, a “highly-competitive” regional tournament, according to College of Humanities and Social Sciences Dean John de Castro. The SHSU team beat out teams from Louisiana State University—Shreveport, Louisiana State University—Alexandria, University of Central Arkansas, University of Arkansas—Monticello, Union University, East Texas Baptist University and Stephen F. Austin State University for the championship. Individual awards were given to Adam Key, fourth place speaker in the open division; Clayton Goss, champion of the varsity division and fourth place speaker in the varsity division; and Addison Reed, quarterfinalist in the varsity division. “This is an outstanding achievement for this new team and portends great things for the future,” de Castro said. 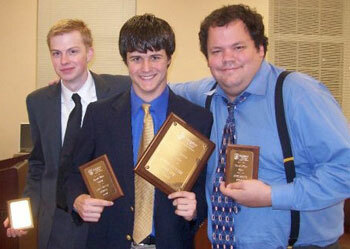 The Mississippi College Deep South Debate Tournament is an International Public Debate Association sanctioned event. The SHSU Alumni Association is seeking nominations for Bearkat graduates who have distinguished themselves through their personal and professional achievements and service for its annual service, distinguished alumni and outstanding young alumni awards. The nomination deadlines for the Service Awards and Distinguished Alumni Awards are Feb. 1 and April 1, respectively. The SHSU Service Award recognizes individuals who exemplify the SHSU motto "The measure of a Life is its Service" and demonstrate a continued interest in the university or Alumni Association through their contributions of time, talent, influence or funds. Eligible individuals can be alumni, faculty, staff or friends of the university. “The highest honor” the association and university can bestow upon alumni, the Distinguished Alumni award recognizes graduates or former students who “have made significant contributions to SHSU and/or society, and thus have brought honor and distinction to our university,” according to the nomination form. The Outstanding Young Alumni Award is given to one individual based on criteria as the Distinguished Alumni Award, except the recipient must be under 40 years of age. Any individual or group may submit a nomination for an award. Nomination forms, with a complete list of award criteria, are available online at http://alumni.shsu.edu/~alu_kat/awards/nominations.html and should be returned to the SHSU Office of Alumni Relations, in the Ragsdale Visitor and Alumni Center, or by mail to P.O. Box 2022, Huntsville, Texas 77341-2022. Nominations received after the deadline will not be considered; however, the forms will remain on file for consideration the following year. For more information, contact the Alumni Relations Office at 936.294.1841 or alumni@shsu.edu. The Communications Office is currently collecting information on campus events for its spring calendar pages. 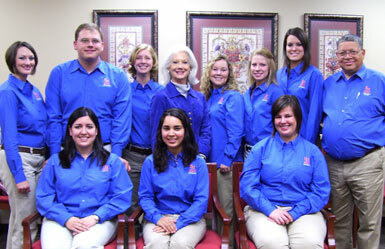 Send your departmental calendars or events to today@sam.edu or jenniferg@shsu.edu or fax the information to 294.1834. Please include the date, location and time of the event, as well as a brief description and a contact person. Information collected for the Today@Sam calendar pages, at https://www.shsu.edu/~pin_www/calendars/, is used by various media outlets, as well as our own office for news stories and releases. It is requested that information be sent to the office (to Julia, Jennifer or through the e-mail link on Today@Sam) a minimum of a full week in advance in order to make necessary contacts and write a story. For more information, call 936.294.1836. Information for the SHSU Update can be sent to the Office of Communications electronically at Today@Sam.edu or to any of the media contacts listed below. Please include the date, location and time of the event, as well as a brief description and a contact person. All information for news stories should be sent to the office at least a week in advance to give the staff ample time to make necessary contacts and write the story. For electronic access to SHSU news see the Communications Web page Today@Sam. Brian Domitrovic, assistant professor of history, appeared on Book TV (C-SPAN) May 1-2, speaking about his recent book "Econoclasts: The Rebels Sparked the Supply Side Revolution and Restored American Prosperity" (www.econoclasts.net). Houston Chronicle education writer Jeannie Kever recently turned to Regents Professor of English Paul Ruffin for his views on university presses moving toward "digital books" as opposed to traditional ink-on-paper. "We're fulfilling the ancient role of the university press, and that is to produce books," said Paul Ruffin, the Texas poet laureate for 2009 and director of the Texas Review Press at Sam Houston State University. "I don't want to give up the book because it is an art." Today@Sam is maintained by the Sam Houston State University Communications Office, Room 115 Marks Administration Building. E-mail: Today@Sam. Phone: 936.294.1836. Mail to: 2105 SHSU; Huntsville, TX 77341. Permission is granted for use of information on any Communications Office page containing ~pin_www as part of its Web address with the exception of material reprinted from The Huntsville Item. "The measure of a Life is its Service."